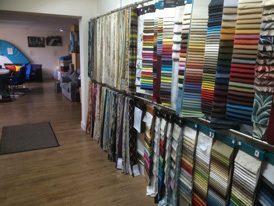 Better than any amount of words… we’ve made the short video above to show you exactly why so many people make the trip to come and visit our Showroom. 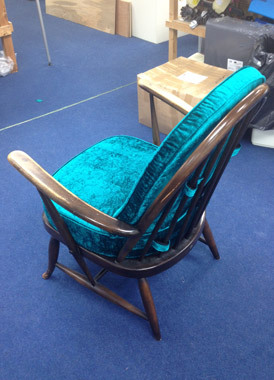 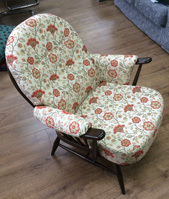 Although we're perfectly able to supply whatever you need in the way of cushions for your Ercol furniture, regardless of where you live, if you are able to visit our Showroom then here's a little information regarding what you will find…. 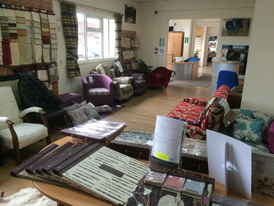 We've always passionately believed that our customers should benefit from a professional, well lit, pleasant environment in which to view what we have to offer. 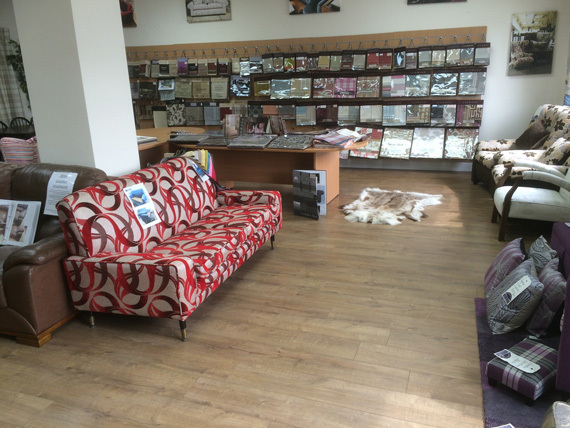 Well, having recently bought the premises adjoining our original workshop, we now have a brand new 2,500sq ft. Showroom that we'd love you to see! 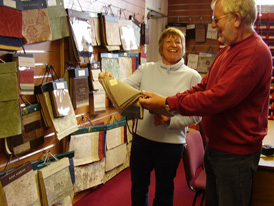 Our staff are NOT commission-paid, NOT 'pushy', but ARE friendly, knowledgeable and happy to give you as much or as little information as you wish. 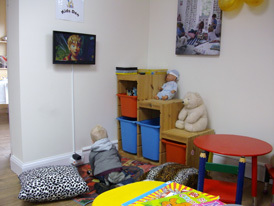 We have a 'kid's corner' if you visit with young children and our Receptionist, Bobbie, has the Tassimo machine on permanent stand-by to welcome you! 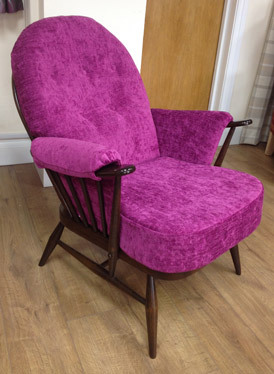 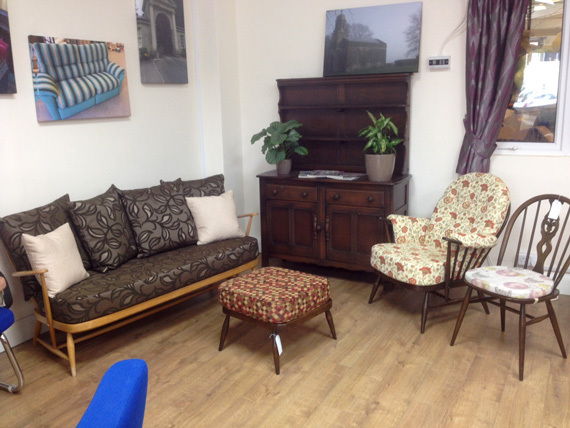 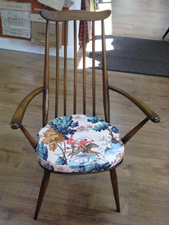 We have various pieces of Ercol furniture in our Showroom, displaying ideas of the different styles that can be achieved by using some of the vast choice of fabrics that we have on display. 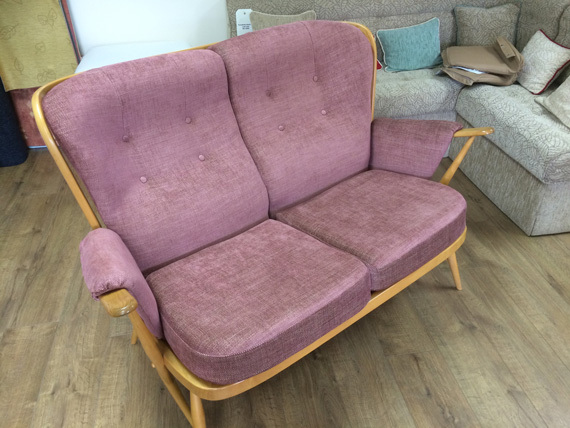 Although we may not have an example of your particular model of Ercol chair or sofa, (as there are over 200 different models that Ercol have made since 1920! 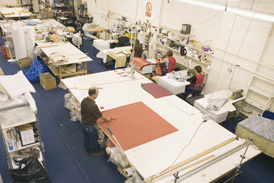 ), what you will be able to see is the high quality of our fabrics and our workmanship. 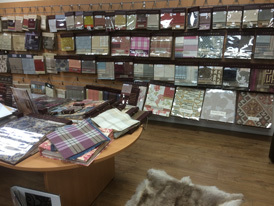 We have thousands of fabrics on display, contemporary and traditional, in a wide price range. 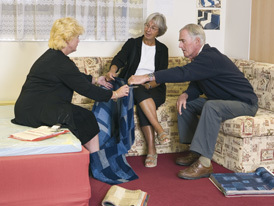 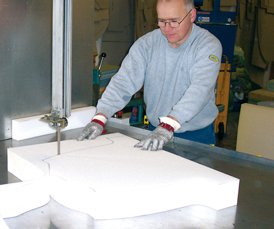 Some of these fabrics are also MACHINE WASHABLE, making the care of any cushions we make for you even more practical. 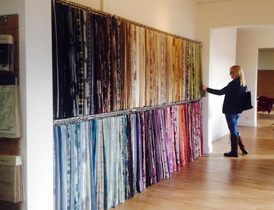 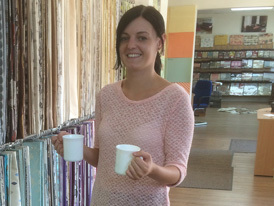 We are proud to be a 'Partner Account' for Linwood Fabrics and Wallpapers, one of the foremost fabric brands in the UK. 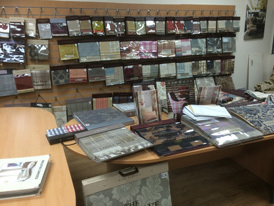 We also have hundreds more fabrics on display from other reputable brands such as Ross, Bill Beaumont, Hale and Rouse, Fryetts, Woodside, Edmund Bell and many more. 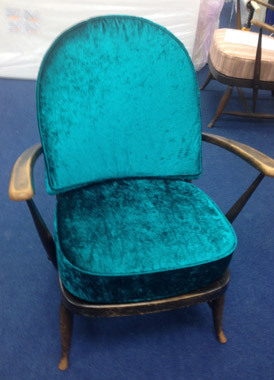 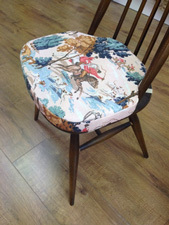 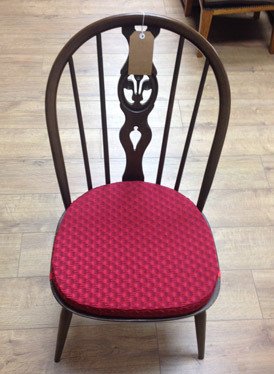 Swatch cuttings can be arranged for you to view any fabrics you like the look of, in the comfort of your own home. 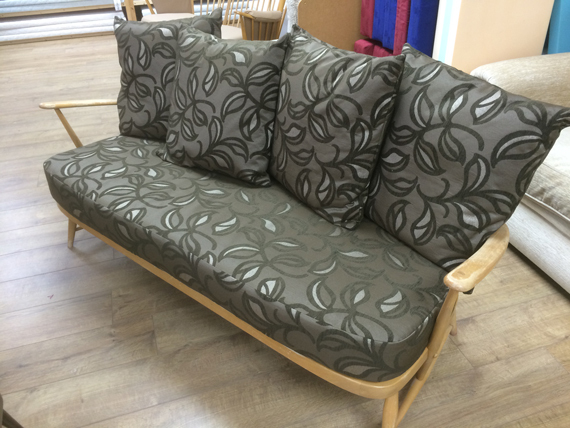 In our Showroom you will be able to see and try out the quality of foam that we use in the replacement Ercol cushions that we make. 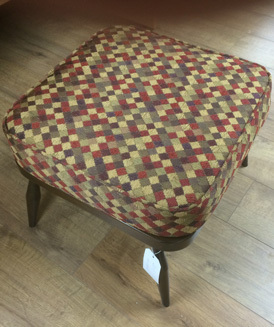 Of course if you are happy with the comfort of your existing Ercol cushions then we will be able to successfully recover your original fillings. 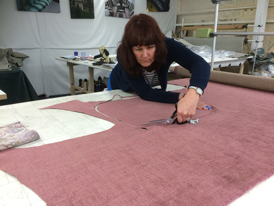 So if you visit us you'll see our hard working, experienced cutters and sewing technicians beavering away, (unless they're on their tea-break!) 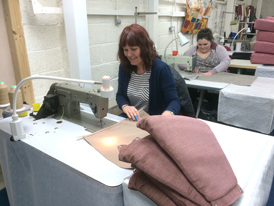 making cushions in a myriad of different styles and fabrics. 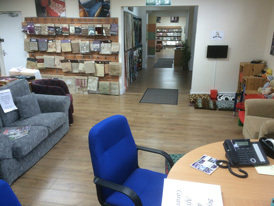 So come and see us, you'll find no high street parking problems, but you WILL find a warm welcome, a cup of tea or coffee and as much or as little information as you wish from our knowledgeable, non-commission, friendly staff.